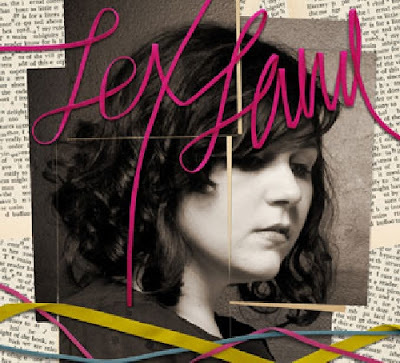 Discussions Magazine Music Blog: LEX LAND/Were My Sweetheart To Go: Available August 23rd, 2011! LEX LAND/Were My Sweetheart To Go: Available August 23rd, 2011! 2011 sophomore album from the singer/songwriter. Were My Sweetheart To Go is the follow-up album to her chart-topping, debut Orange Days on Lemon Street. Building on what critics have described as honey-sweet Folk on the first album, Were My Sweetheart To Go journeys into genre-blurring boundaries, including everything from Electronica, to Jazz, to straight ahead Rock 'n' Roll. The center piece of this narrative is Lex’s remarkable voice, and somehow her songwriting melds all these genres into one comprehensive piece of art. It’s Lex Land version 2.0, and it’s ace.